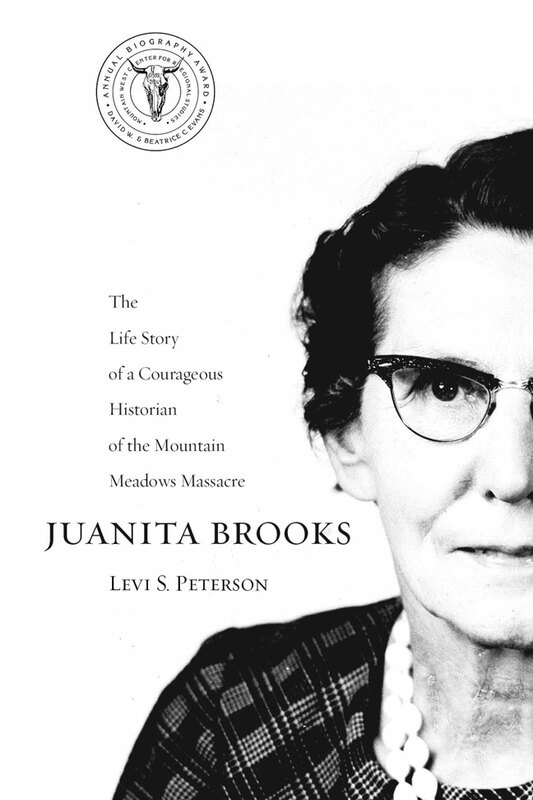 Born in 1898 in Bunkerville, Nevada, Juanita Brooks led an early life similar to that of many who grew up in isolated, tightly knit, rural Mormon communities. An early marriage suggested her future would follow a predictable course, but the death of her husband, the need to raise a young son, and a passion for knowledge led her along a different path, when at mid-life she became a well-known author after publishing The Mountain Meadows Massacre. In this book she exposed the killing of some 100 California-bound emigrants traveling through southern Utah in 1856 as an atrocity carried out by a Mormon militia with Indian allies and not solely as an Indian massacre, as it had been for so long portrayed. Juanita Brooks was a faithful and active member of the Mormon Church, and her courage to tell the truth about this dark moment in Mormon history established her reputation as a respected historian. While there was no official church condemnation of the book, there was unofficial disapproval and Brooks was shunned by many in her community. She nevertheless doggedly pursued church authorities to revise their stand on the incidents at Mountain Meadows. The desire to tell the truth as she saw it became her hallmark, and Brooks’s life as wife, mother, teacher, community member, and undaunted historian became an uncommon story of personal stamina and intellectual courage. Winner of the Evans Biography Award and the Mormon History Association Best Book Award. Levi S. Peterson is a professor emeritus of English at Weber State University in Ogden, Utah. He is the author of collections of short stories, The Canyons of Grace (1982) and Night Soil (1990); two novels, The Backslider (1986) and Aspen Marooney (1995); and the autobiography A Rascal by Nature, A Christian by Yearning (University of Utah Press, 2006). “Peterson weaves an obviously staggering number of primary sources into a lively narrative which at once portrays an individual and suggests her symbolic role. He captures the contradictory blend of faith and reason, superstition and logic, and conformity and nonconformity which underlie Brooks’, and possibly Utah’s character. Juanita Brooks and the unfolding narrative of Utah History owe a debt to the sensitive and talented Levi Peterson."